Every football club has its legends. These are people of extraordinary skill, givers on the pitch and givers outside of it. But sometimes, these are ordinary footballers, who have slipped through the steady unflinchingly selective gaze of the supporters and have made way into their hearts. It’s hard not to talk in superlatives about Zola. Even a football baby can see he was different. He seemed like he was the possessor of secret knowledge. He was a Wizard, a slippery fish–now you see him, now you don’t. If you were the defender and followed his movement for too long, he would get you. If you learned his tricks, he would run around you. 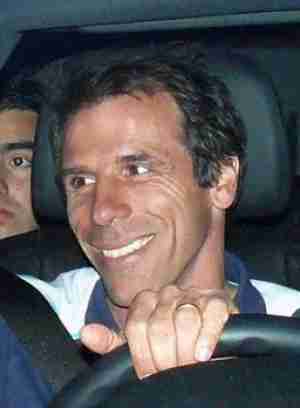 Zola was one of those rare breed of footballers that come maybe once or twice every decade. The diminutive Italian bagged 80 goals in nine years at Chelsea. As of July 2015, he is managing Qatar team Al-Arabi. Vialli was Mr. All for Chelsea at one point. The club appointed Vialli as player-manager in 1998, after sacking Ruud Gullit. The Italian would often devise plans and give team talks in the dressing room then score the goals himself. As a player, he had a tenacious streak that earned him praises wherever he went. But it was his charismatic presence and constant smile that gave him the status of cult hero at Chelsea. Vialli is a pundit and commentator for Sky Sports Italia. The Uruguayan may be remembered for his iconic scissor-kick goal again Sunderland, but for Chelsea fans he was more than that. The lanky dynamic midfielder had a knack for playing a key role whenever unscathed by injuries. In his first season at Chelsea, he helped them reach and win the Cup Winners Cup. He then scored the only goal against Real Madrid in the European Super Cup in the following season. When Claudio Ranieri arrived at Chelsea, Poyet’s services to the club shifted more from player to translator to the new manager–no harm done since he was talking all the time anyway. 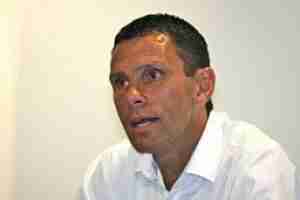 Poyet is now managing Spanish side Real Betis. 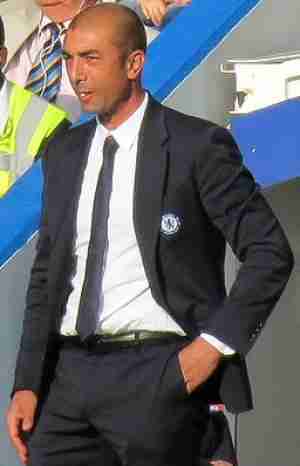 If Di Matteo’s playing career at Chelsea had not given the supporters enough impetus to give him the cult hero status, then winning the club’s first Champions League trophy as an interim manager surely did. Di Matteo’s double-case started with is goal in the final of the FA Cup in 1997 helped to secure Chelsea’s first trophy in 27 years. He scored 43 goals in three years for The Blues. All the while he never fell out with the fans. The Italian has not been affiliated with any club since his release from Aston Villa in June 2016. Ball boys around the world owe their jobs to this man. 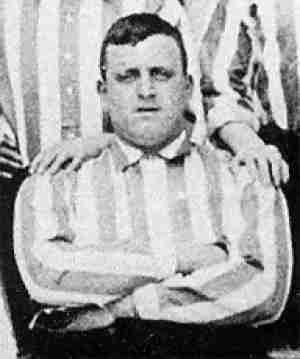 Foulke was a towering goalkeeper, over 6ft 4 and weighting 24 stone (152 kg). Following his move to Chelsea, they placed two boys behind his goal to emphasize his size. Eventually the boys started chasing after the balls, becoming the first ball boys in football. Apart from being a man-mountain, Foulke was also quite the character. He would often just stroll off the pitch if he thought the defenders in front of him were rubbish. He would sometimes grab and lift oppositional strikers when annoyed. Rumour has it he once chased a referee, forcing to hide in a cupboard. The referee was luckily saved before being discovered by furious Foulke. Foulke died at the tender age of 42 in 1916. The lanky Norwegian transferred to Chelsea from SK Braan. In the following three years, he made his name with key goals against Barcelona, Tottenham Hotspur and Real Betis. 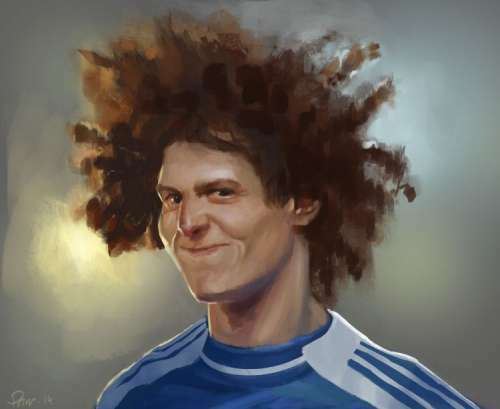 Throughout the duration of his stay at Chelsea, Flo earned the label ‘super-sub’ because of his efficiency in the games his manager Gianluca Vialli to play him. He got to play more often towards his final year but eventually lost his place to Jimmy Floyd Hasselbaink and Gianfranco Zola before he moved to Rangers FC. He scored 50 goals scored in 112 appearances for the Blues. Osgood was a player of skill, charm and zest. The 6ft 1 striker blossomed in times of haven for uncompromising defenders, and all the while he did it with finesse that would rival his more modern equivalent of Gianfranco Zola. Osgood had it all, the popularity, the respect of the fans and the players, and the success. He scored more than 100 goals for Chelsea and was once greeted by movie star Steve McQueen. He died in 2006 at his uncle’s funeral, a few months after George Best’s death. Wise was quite the tenacious little pit-bull in midfield. He would endear himself to Chelsea fans with his relentless work-rate which led him to become one of the most valued captains of the club. The revered cult hero bagged over 70 goals in 11 successful years at the Bridge, but also accumulated 13 red cards throughout his career. The same competitiveness that made him a hero would often spur him to get involved into bust-ups with others and into other controversies on and off the pitch. But Wise wouldn’t be Wise without those incidents. Jimmy would forever be linked with the sporting memories he created for Chelsea during his four years there. He won Best Club Goalscorer in three of those years–this with Gianfranco Zola in the first eleven. 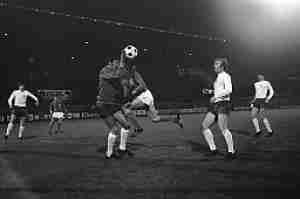 The Dutch striker was a terror for Tottenham Hotspur especially, often demolishing them all by himself. Jimmy was a cathartic player for he would unleash accumulated match pressure with the fury of his goals–a screamer against Arsenal in the FA Cup springs to mind. Hasselbaink is now manager of Queens Park Rangers. Before Dennis Bergkamp put his stamp on the No.10 position in England, Alan Hudson was the undisputed king of it at Chelsea during the early 70s. 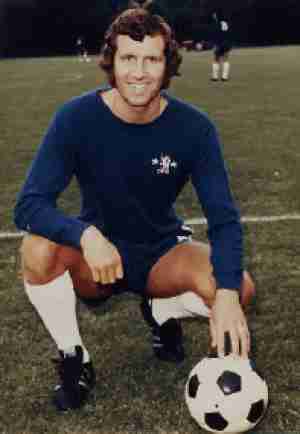 He was present in Chelsea’s meteoritic rise to win the Cup Winners Cup in 1971 and the FA Cup a year earlier. After his retirement from football, Hudson’s life took a turn to worse. He was hit by a car in 1997, an event was to change his life, culminating in him becoming homeless. Alan Hudson is currently writing his second book and is occasionally expressing his opinions about football and other things on his Facebook page. He was the Dirty Harry of football. Harris would chop down anyone coming his way, hence the nickname. The defender with the most appearances for Chelsea, at 795 over 21 years, played at the pinnacle of a golden age for tough defenders. Hardly can players like that exist nowadays. FIFA and UEFA are now punishing hard players, intending to make football a creative haven and thus more attractive. Ron doesn’t like it. “Blimey football: it used to be a man’s game, didn’t it” he was quoted saying. If you are from an aging generation of football fans, you would probably remember Ryan Giggs’ amazing dribble and goal against Arsenal in 1999? Well, Wee Pat did something similar much earlier–against Newcastle in 1983. He ran down the whole length of the pitch, dribbling past everyone, to cross the ball at the delight of the Blues’ supporters. Pat was a player of skill, and even though he probably took the worst penalty kick ever once, he is endeared to thousands. Pat Nevin makes his living by writing and TV broadcasting. Initially, Bentley moved south to Chelsea to treat a lung problem of his–hardly promising for a football career. But he turned out to be the third all-time goal scorer for Chelsea, finishing as top goal scorer in each of the eight years he spent there. David Luiz is a more modern Chelsea icon, who, as of 2016, has re-signed for Chelsea after spending two years at Paris Saint-Germain. What made the Brazilian a cult hero for the Bridge was rather his connection to the fans and his carefree attitude. In his first spell at the Blues, Luiz had erratic performances but never allowed that to hit his passion and desire to win for the club. In contrast to the late Steve Clarke, the Def Leppard guitarist whose nickname was ‘The Riffmaster’, Steve Clarke the footballer had no nickname. 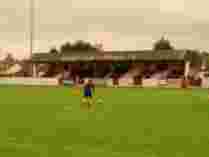 Rather, the Scottish defender was a model for consistency at Cheslea, spending 11 years there. It is exactly this self-sacrificing attitude of him, this commitment that endeared him to the thousands who went to watch the team play. After his retirement, Clarke managed Newcastle before returning to help Ruud Gullit as assistant manager of Chelsea. He is now assistant manager at Aston Villa. Putney-born Bonetti was called ‘The Cat’ for his lightning-fast reflexes and agility between the sticks. His signature move was a one-handed throw that could rival a goal-kick in its distance. Bonetti played in over 720 matches for Chelsea and is only second, behind Ron Harris, in most appearances made for the club. Still in his 70s, he is involved with the club of his heart by leading the ‘Legends’ tour at the stadium, amongst other activities. Ray Wilkins is a living example for the lack of fairness in modern football. A cult hero for the Blues since his playing days from the early 70s to late 90s, Wilkins continued his service to Chelsea as an assistant coach until 2010, when he was simply sacked. 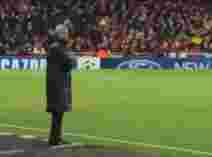 The reason for his sacking was his ‘translation’ services to Carlo Ancelloti, the then Chelsea manager, were no longer need. Fair or unfair, Ray Wilkins’ contributions to Chelsea for 40 years remain respected. Here is where the terms ‘cult hero’ and ‘legend’ intertwine. Lampard is perhaps the greatest Chelsea player of all time with his 211 goals in 649 matches and numerous trophies–among which the biggest ones in club football. But what, perhaps, most clearly epitomized Lampard’s relationship with Chelsea’s fans and how much it meant for him was the goal he scored against them for Manchester City in 2014. The refusal to celebrate, sadness, end-of-match tribute to the Blues’ fans and their mutual salutes were all revealing of a special bond. It was one of the most lucid cases of romanticism in football. Petar Borota was a Yugoslavian goalkeeper. Flamboyant and often erratic, he quickly turned into a Chelsea cult hero for his antics, which in his own words, were attempts to entertain the crowd. He would often swing from the crossbar like a chimpanzee, rush out to make clearances or dribble past oppositional players, occasionally, even bouncing the ball against his own crossbar during play-time. All to entertain the public. His colourful nature continued to shine even after his retirement from football with him becoming an abstract painter and getting arrested for car theft and forging of antiques. Borota passed away in 2010. An unlikely figure of inspiration for Chelsea. In 1982 when he was bought from Wrexham for 34,000 pounds, Jones was disliked by the fans at first. Having come from a club that had been relegated, he seemed like the wrong person to bring in to help a struggling-for-survival Chelsea. Jones’s passion, however, grew on the fans. He would often clench his fist in a self-motivating routine before every match and would often throw himself right in between the hammer and the anvil in challenges. 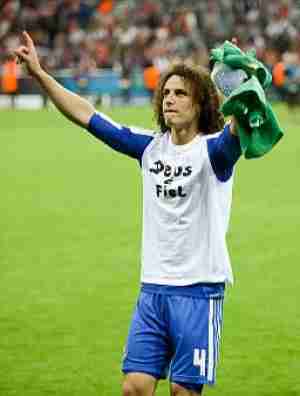 His spirited displays on the pitch eventually helped Chelsea survive that year, winning him a status of cult hero.